How cute is this guy?! It’s a stuffed Rescue Pit Bull by CharlieDog & Friends, who support Pit Bull Rescue Bruised Not Broken. 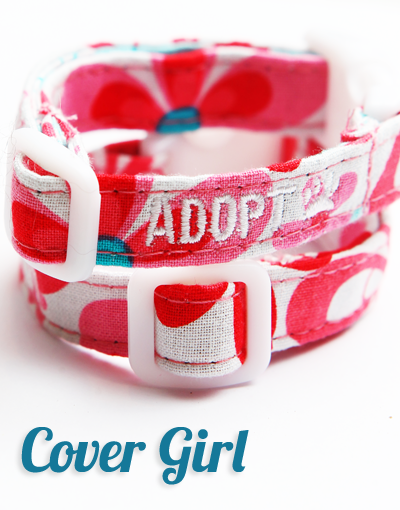 ADOPT Collar Bracelets! This is such a brilliant idea, I can’t believe I haven’t thought of this before. There are several designs to choose from, all benefiting Rescue’s, and represent a rescue animal. “Cover Girl,” seen below, represents a Rescue kitty who came from a large rescue operation. Not only are they washable, they can be worn by small dogs (not kitties! ), and $3 of each sale goes to a selected Rescue of the month. Must have! After discovering CharlieDog & Friends on Pinterest, I came across The Lazy Pit Bull. 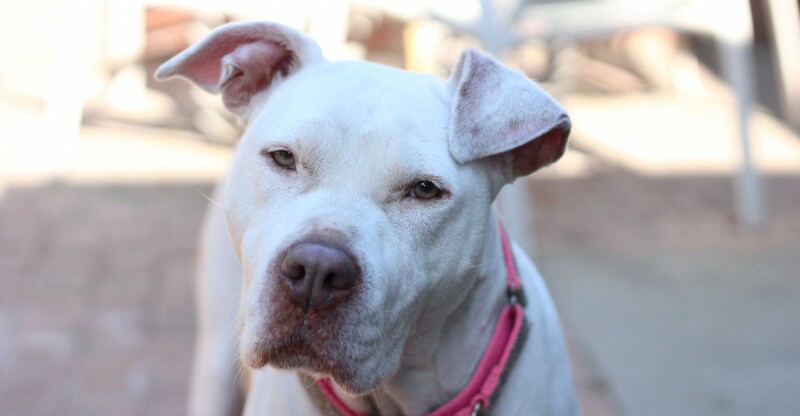 This is an amazing blog written by a rescue/shelter volunteer, and Pit Bull advocate and owner. She’s awesome! Another Blog I discovered a few weeks ago is Pretty Fluffy. Basically, it’s about all things DOG. The owner of PF pretty much is the epitome of Modern dog ownership. 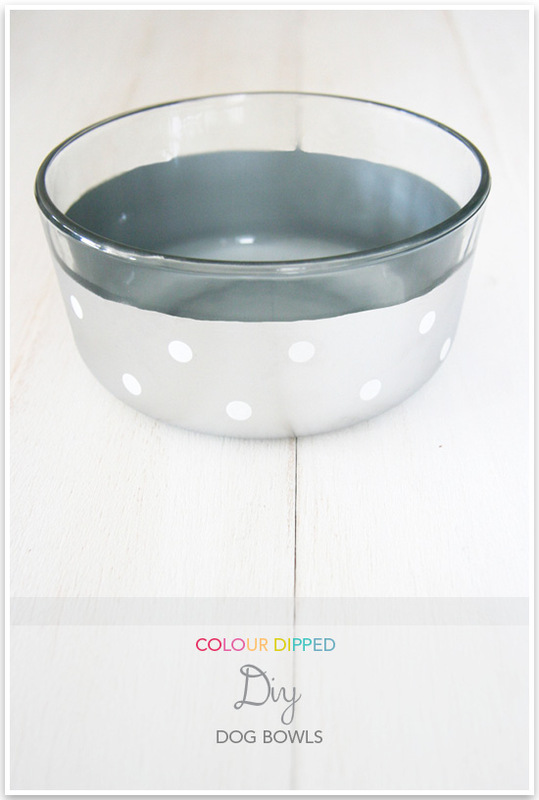 She shares DIY projects, like this Painted Dipped dog bowl(! ), as well as amazing photography, and even pet friendly organization and design ideas. But my favorite post so far is the Pet Station! This pet-friendly entry way is totally doable! So bright and gorgeous, yet functional. It excites the designer in my, as well as the dog lover in me. 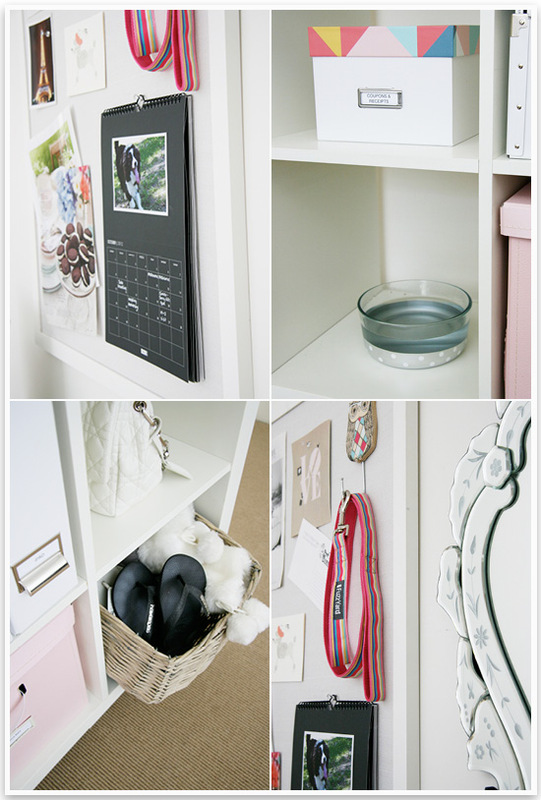 I happen to have this bookshelf they show, but it’s a 4 cubby shelf, that’s inexpensive from IKEA, plus I bet you could get similar organization boxes at the Dollar Store and jazz them up to look designer & fab! Thanks so much for your lovely post – it made my day! Thank you so much! I just love your site!